The Park City Board of REALTORS just released their 3rd quarter, 2017 statistics. Even to someone like myself, who follows the market extremely closely, it’s not easy to make sense of the numbers. Overall, single family home sales increased 7% and the median sale price also increased by 7%. For condominiums, the number of sales increased by 10% and median sales price increased by 10%. These are definitely robust numbers, but not crazy real estate “bubble” numbers. I have been predicting that prices will level off, but these numbers show that has not happened yet. In 84060, within the Park City limits, the number of single family home sales increased by 12%, with median sale price increasing by 18%. Wow! This means that some pretty expensive home sales took place during the 3rd quarter. In fact, 4 homes closed over $7M, which is an unusually high volume for that price point. All 4 were ski in/ski out homes, with 2 at The Colony and 2 at Deer Valley. The “Vail” effect continues, with the number of sales in Old Town increasing by 15% and decreasing by 19% in Lower Deer Valley. As I’ve mentioned before, this is partly due to Deer Valley’s aging inventory of homes. Promontory is definitely booming, with sales increasing by 13% but median sales price decreasing by 12%. I’m thinking this is due to the popularity of the Promontory Cabins, which can be rented out as vacation homes. Sales in the Jordanelle area are continuing to explode, up 15% with median sales price up 34%! In terms of condominiums, sales in Old Town were up 28%, with median sales price up 9%, while in Lower Deer Valley the number of sales was down 7% and median sales price was down 3%. Similar to single family homes, the inventory in Deer Valley is aging and I am seeing that resort buyers want to be walking distance to Historic Main Street. Sales in the Pinebrook and Jeremy Ranch areas were relatively flat, as was the median sales price. 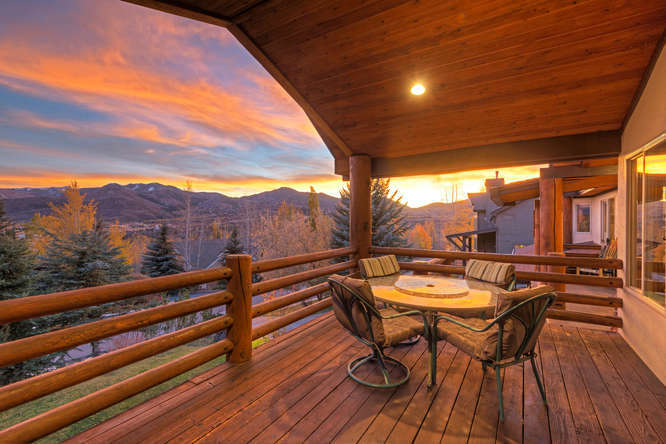 What does the future of Park City real estate hold? Deer Valley could be poised to make a real estate comeback since the resort has new owners and will be part of a multi-ski resort system. Single family homes and condominiums within walking distance to Historic Main Street and the ski lifts are proving to be great investments. I liken these to “beach front” property. Jeremy Ranch and Pinebrook recently saw double digit increases in median sales price, so it makes sense that those neighborhoods would eventually level off, just like Silver Springs and Prospector the year before. If you would like to read the entire Park City Board of REALTORS press release, please contact me and I’ll be glad to email it to you. As always, if you have questions regarding specific neighborhoods or areas, I’d love to help.